Solarium Free Trade Zone, part of the larger Solarium Development, is located outside GAMA in Liberia, Guanacaste, one of the Rising Cities identified by CINDE. It is directly across from Daniel Oduber Quirós International Airport and 90 km (56mi) from the Nicaragua border. The development is a diverse 104 hectares (239 acres)multi-use development incorporating industrial, commercial, services and residencial components as well as the Free Trade Zone. 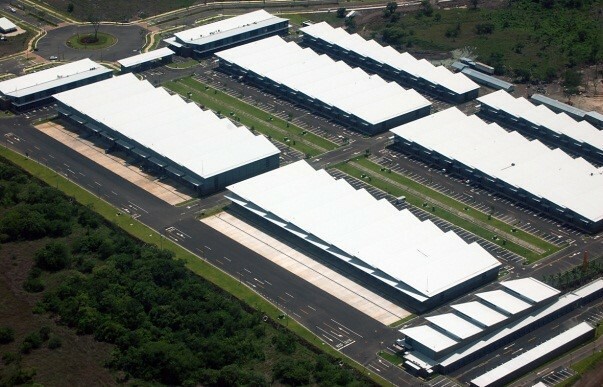 Daniel Oduber Quirós International Airport is the second major airport in the country and has a modern cargo terminal with temperature controlled facilities. This makes Solarium easily accessible and facilitates easy shipment of products by companies located in the region. The proximity to the northern border allows for efficient export to other Central America countries. Solarium was selected by The Coca Cola Company for the construction of their new concentrates plant, the third largest in the world. The strategic location of Solarium allows easy access to a highly educated work force, due to many private and public academic institutions in the area, first class services, health care system and logistics infrastructure. Our pre-built facilities, on-site hotel, residential options and business park will facilitate your operation. Solarium has land for development, pre-approved permits, in place infrastructure and a build to suit option. This allows a fast and cost-efficient set-up. Discover all the advantages of Solarium and enjoy additional tax incentives for being outside GAMA (Under the Free Trade Zone Regime).